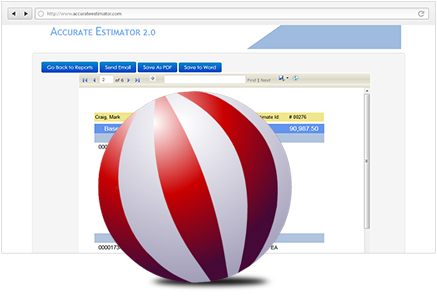 "The Best Estimating Software. Period." You Give Free Estimates, So We Make It Easy… And Fast! 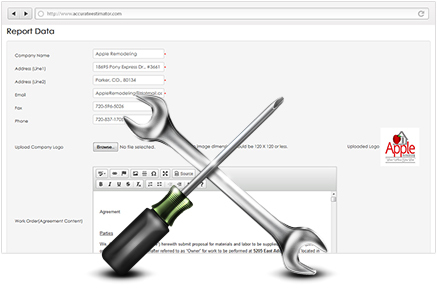 You’re a professional contractor with no time to waste and no patience for complicated software. 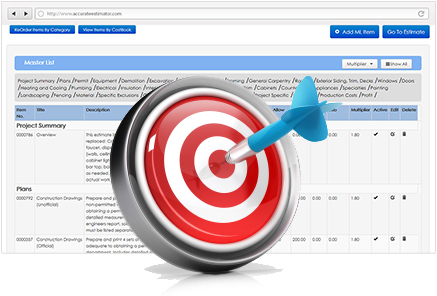 So you need a customized estimating tool that's just as good as you are- one that helps you crank out a perfect quote in minutes. Designed by a veteran contractor who has personally written over 6,000 estimates, just for YOU, the small-to-medium sized contractor who needs something better than a giant generic “one size fits all” program, this software is like nothing else on the market. Try it for 90 days, and if you are completely thrilled, we’ll refund your money, no questions asked! 15 Minute Estimates. Once you have it set up, this should crank out your estimates in 15 minutes or less (for projects over $20K, it may take a little longer). No more writing things out by hand, or sorting through 10,000 generic database items when you only need 200 written specifically for you. When writing estimates is fun instead of a chore (yes, that’s right), then you can estimate quickly and get back to what makes you money. 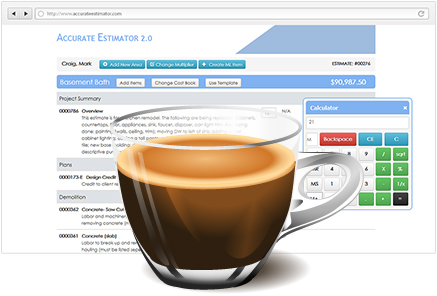 Faster estimates also means that you can do more estimates, and select better jobs at higher profits. No tricky computer skills required. This software was purposely designed to be intuitive. It is recommended that you watch the easy videos (because there are cool features to know about), but you can also dive right in and get started without a big learning curve. Estimating. That’s it. If you need scheduling software, materials list’s, or fancy payroll integration, then please look elsewhere. This software does one thing, and one thing only - estimating. And it does it like nothing you’ve ever seen. The whole design is intentionally simple and fast. They’re Your Numbers. Only you know what your costs are, what the description should say, and what you want to charge- that’s the key to an accurate bid. No more “guesstimates” or national averages, and no more looking up prices constantly; now you can put real life costs in and control the pin point accuracy of your bids. Your Company, Your brain. Your business is unique and so are you. So naturally, you’re estimating program needs to be organized around how you do things. 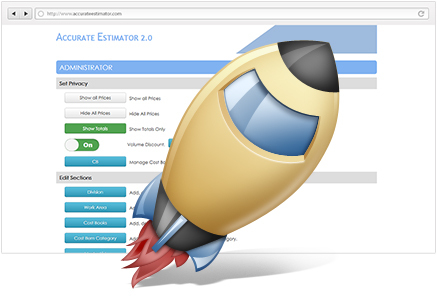 We purposely designed an estimating template that gives you great control and flexibility in how you arrange and see the estimate coming together. Organize the Divisions, Areas, Categories, and Cost Items however you want them. Customize everything for yourself. Write your own descriptions. Set your own prices. Change them at the click of a button. Personalize everything. Once you’ve done that, the software becomes an extension of you, and you will fly through your quote writing! Mike H., Contractor Excellent software! I sold my first job within one day of getting it, and would highly recommend it. Alice C., Office Mgr Over the years, we've tried other software, but Accurate Estimator was clearly the best. Within just a few days every salesperson had switched to it. Larry B., Contractor Wow. I used to hate writing quotes, and now I see it as a fun chance to show off. Great software, easy to use, a money maker. Writing a 15 - Minute Estimate.